There are different décor trends and styles every year for weddings. The trends for 2018 include the natural look, with a mixture of the bohemian style added. This wedding season you will see geometric shapes, neon lights, natural stones, hanging flower arrangement and a little splash of black to add a different color combination. These are definitely unique styles that come together beautifully and show the style of the new generation. Wedding trends have come a long way, from your typical pastel colors and simple décor choices, to a wide range of colors and extravagant décor. The very popular rustic style will probably always be in style, but there is always a way to make each wedding unique. I had the opportunity to bring some of the 2018 wedding trends to life this past week. The beautiful Bandit's Ridge let me take charge and decorate their new barn to show off some of the trends. I brought the outside indoors and added some bold colors to show a woodsy elegant look. The tables started with an ivory table cloth with a striped navy blue overlay. I then added gold chargers with some fine china and wine glasses for the place settings. 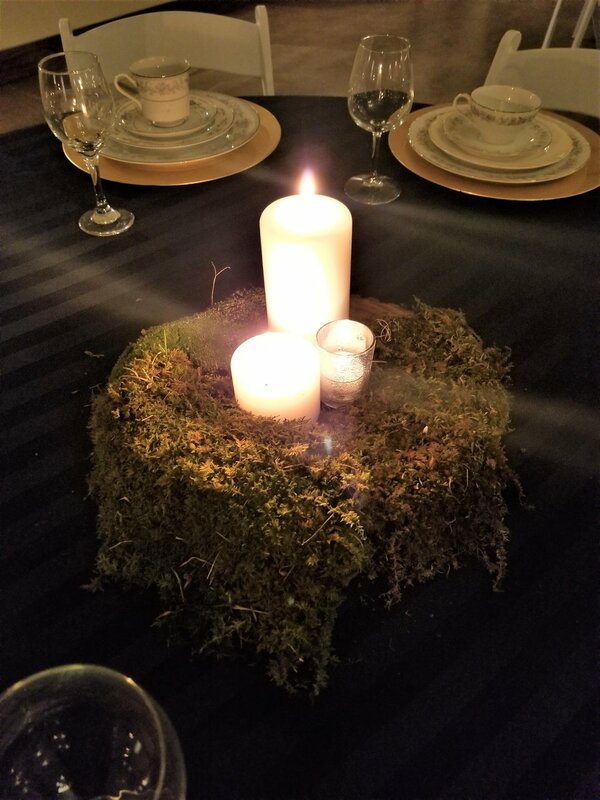 The table arrangements is where I showed a new trend; I added moss flowing over a wood disc with different sized candles arranged in the middle. 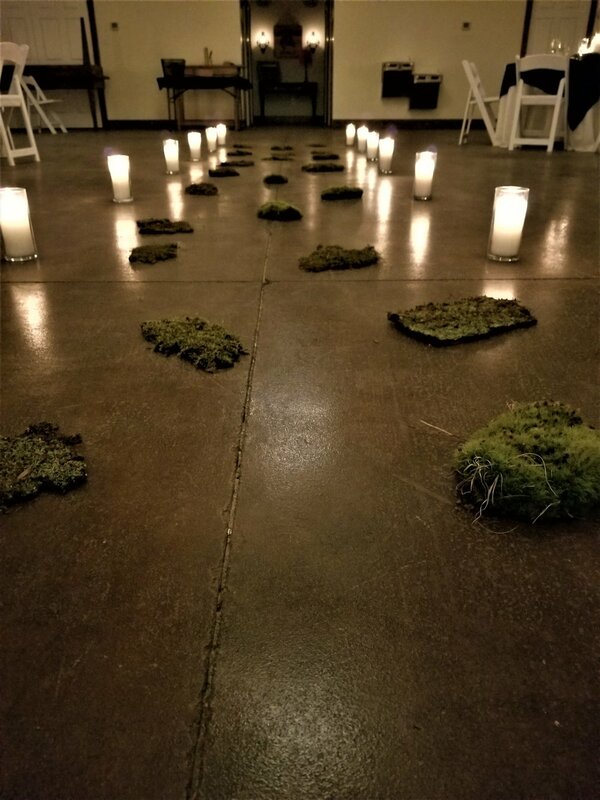 This was super simple and cheap, because the moss came from my property. 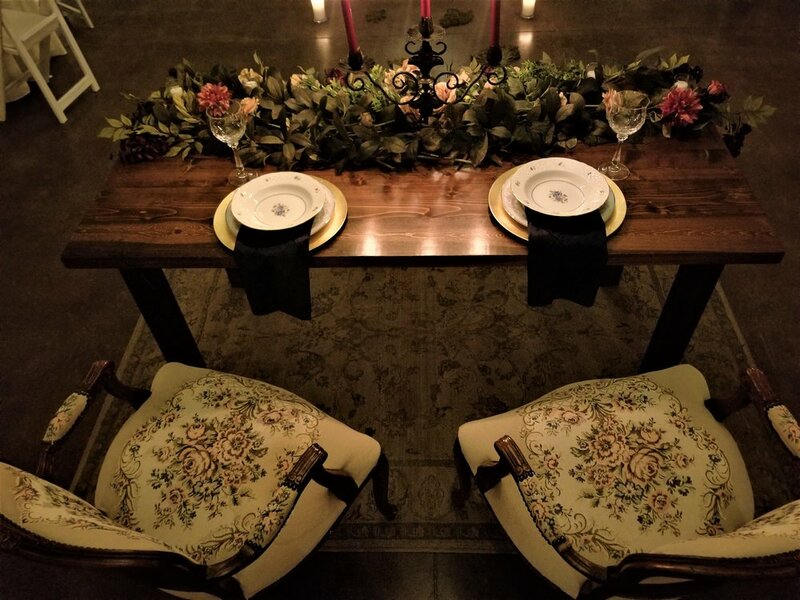 The sweetheart table is where I brought the elegant look into the design; I used fake flowers from Hobby Lobby with bold colors such as, purple, off white and shades of red with greenery added for fullness. The sweetheart table should always be different then the rest of the tables, so that it stands out. I always like to put the most color and biggest arrangements on this table to show that this table is the focal point! 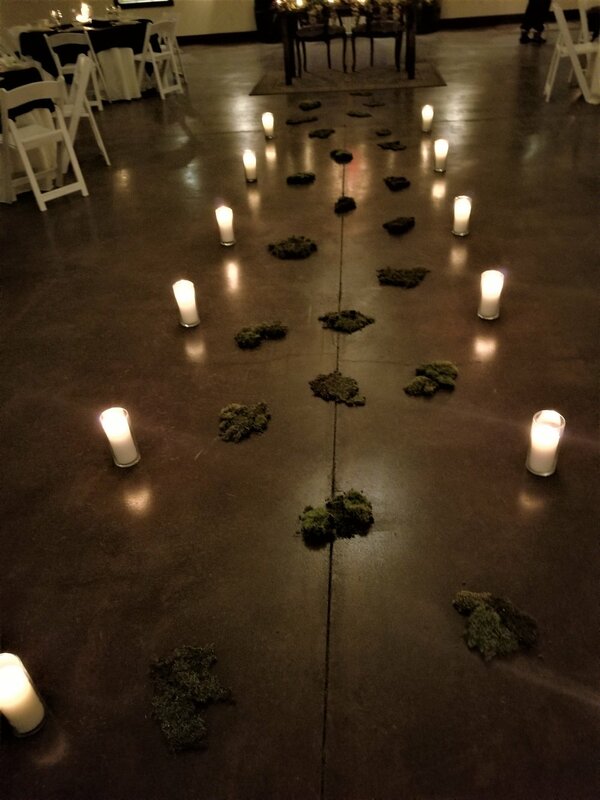 I then got really creative with what I had left over, I added a pathway of moss leading up to the sweetheart table lines with candles. 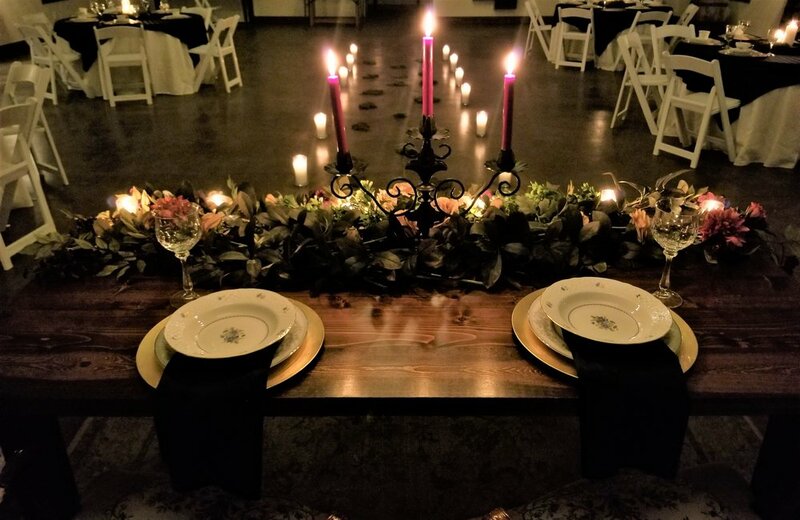 I also added a smaller table to the side full of different sized candles just to give more light; this table could be used for the guest book or a memory table. The woodsy elegant design was so much fun to bring to life, and like I said, I brought the outside indoors. This style can be extravagant or simplified and still look great for any wedding!! I can not wait too see all of the trends come to life for this upcoming wedding season. Check out the pictures below to see the design I created and maybe this will give you some inspiration for your wedding! !